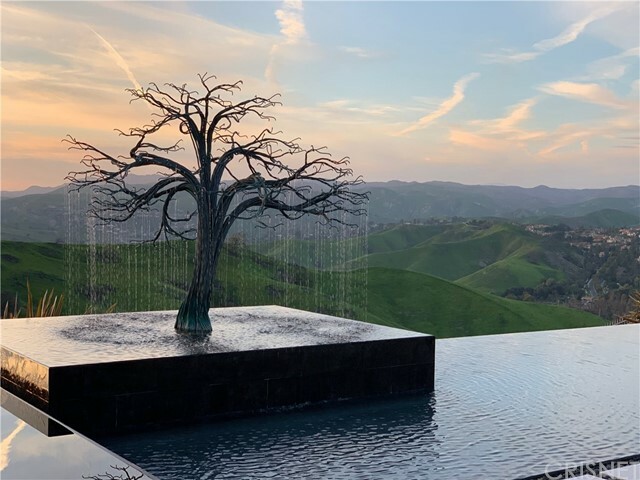 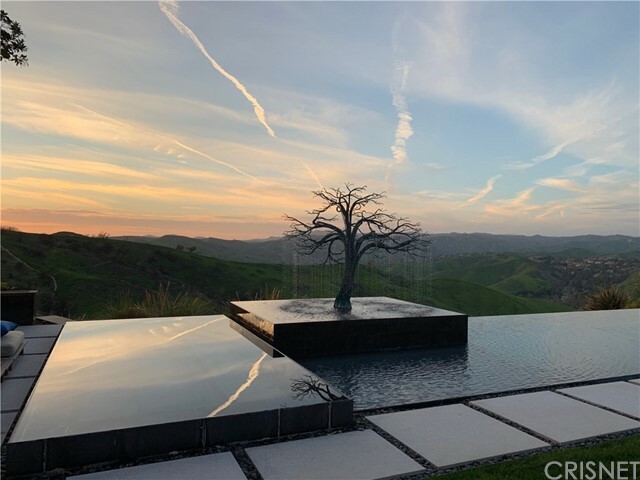 The Oaks of Calabasas. 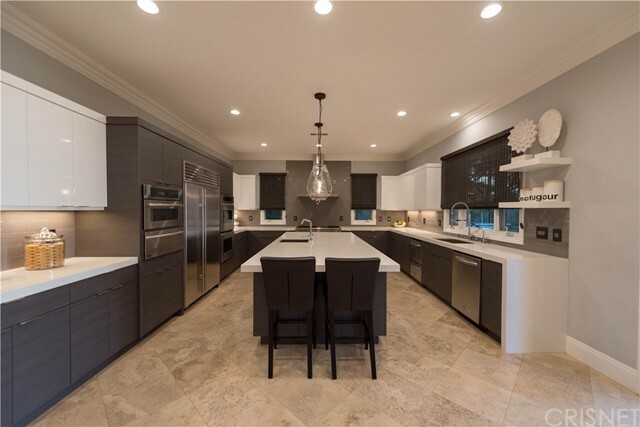 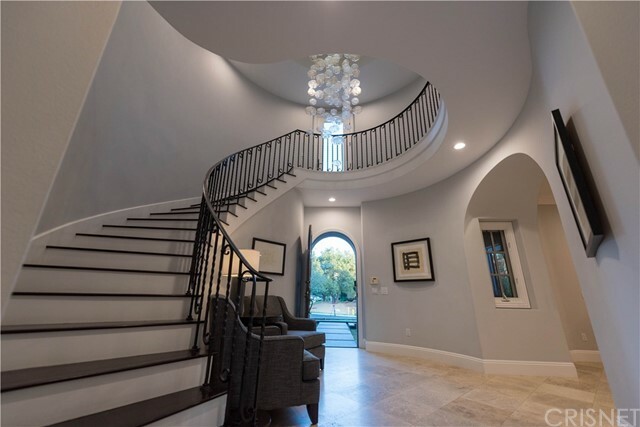 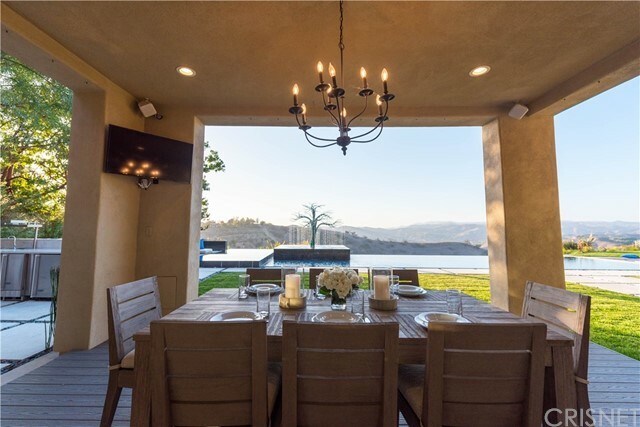 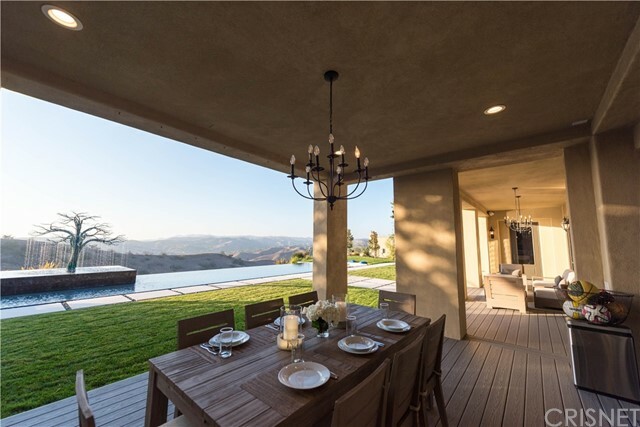 Nestled on a quiet cul-de-sac, this absolutely model sharp, and rarely available Lang Luxury Homes Castille Plan 2 offers panoramic mountain and sunset views. 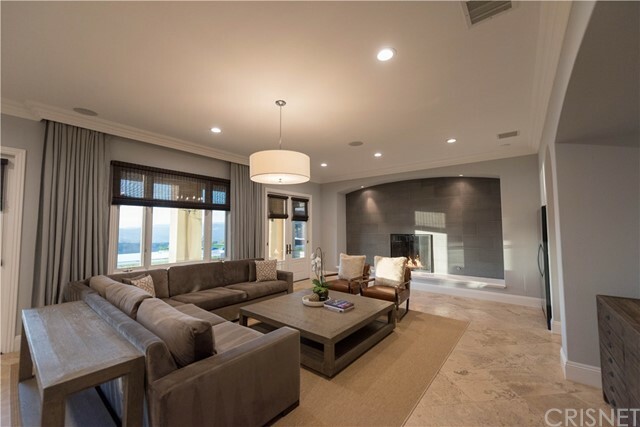 The sunny open floor plan boasts over 6,800 square feet of luxury living space. 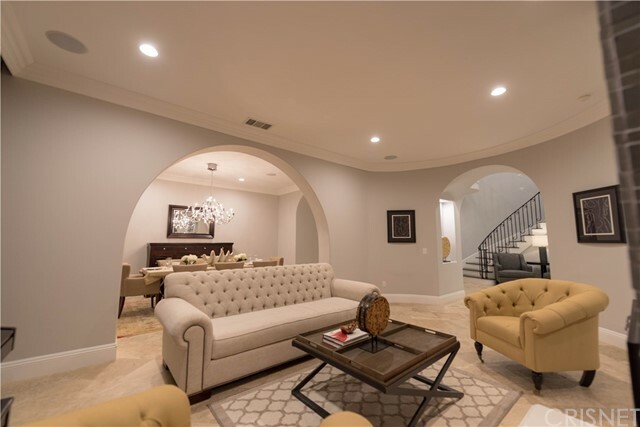 Beautifully upgraded throughout, highlights include a gorgeous center island chef s kitchen with stainless steel appliances, butler s pantry, and sunny breakfast room, opening to the spacious family room with fireplace, plus a dedicated home theater, large bonus room with custom built-in desks & cabinets, office, and six, en suite bedrooms including the luxurious master suite with view balcony, gorgeous, completely remodeled bath with free standing tub & large walk-in shower, and oversize custom closets. 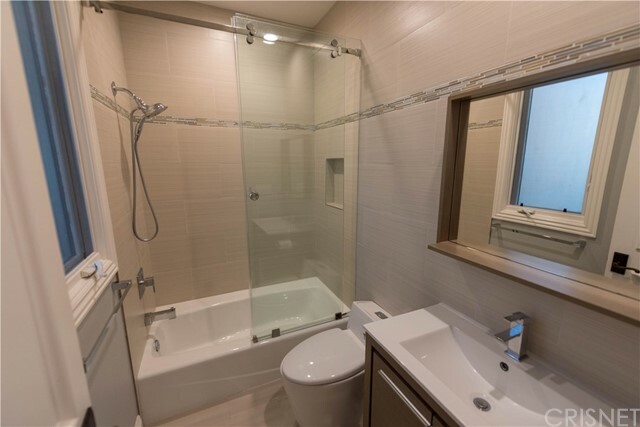 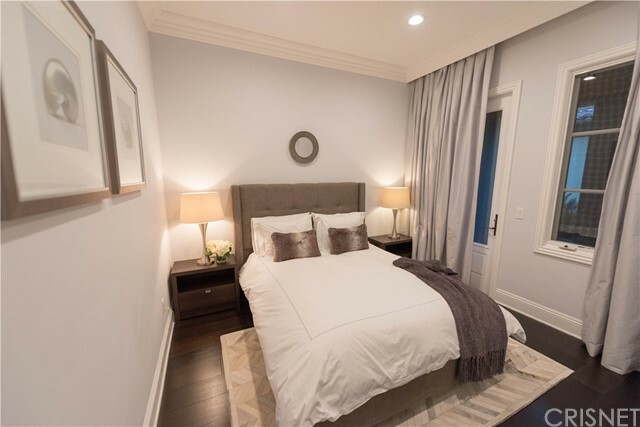 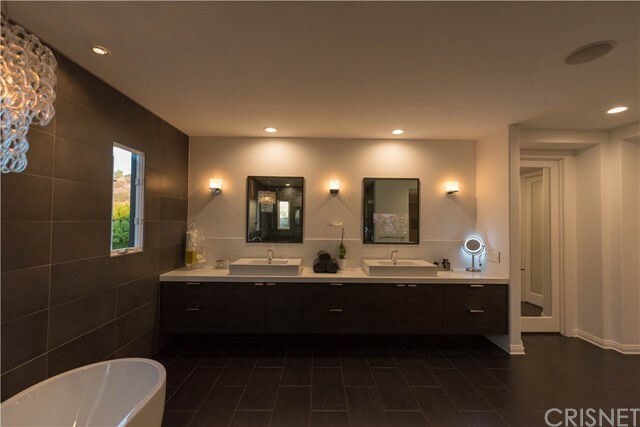 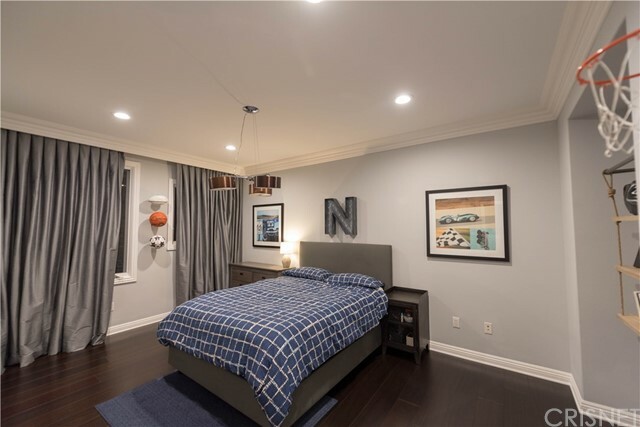 Additional amenities include wood & stone floors, all upgraded baths with heated floors, decorator lighting fixtures, custom window treatments, French doors, and a backup generator. 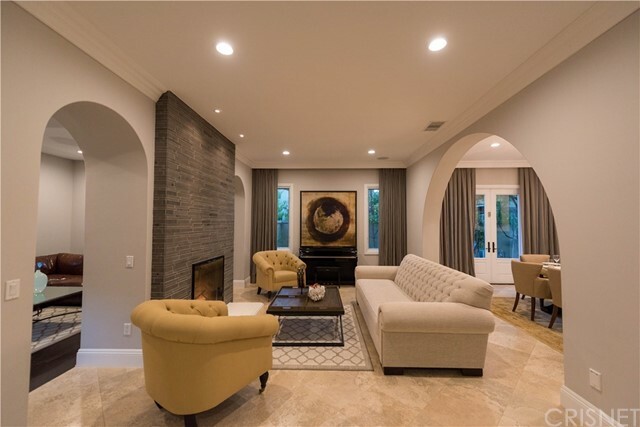 The manicured grounds include a welcoming, front water feature with fountains, large covered patio, complete barbecue center, entertaining areas with two fire pits, grassy lawns, and a dramatic, zero edge infinity, salt water pool & oversize spa with unique, sculptural water feature and kids basketball area. 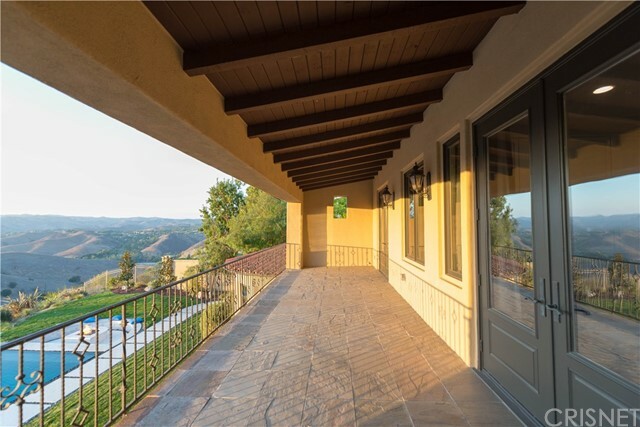 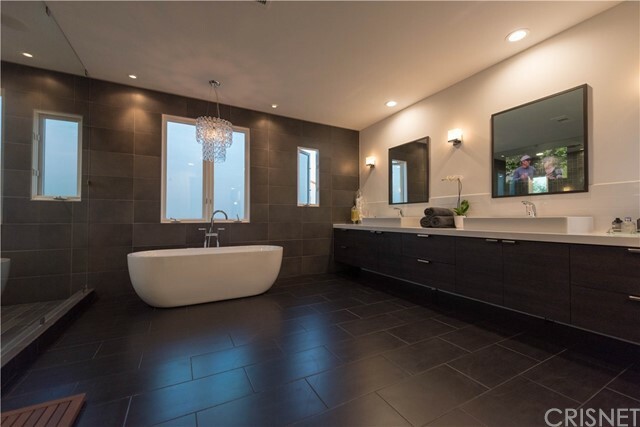 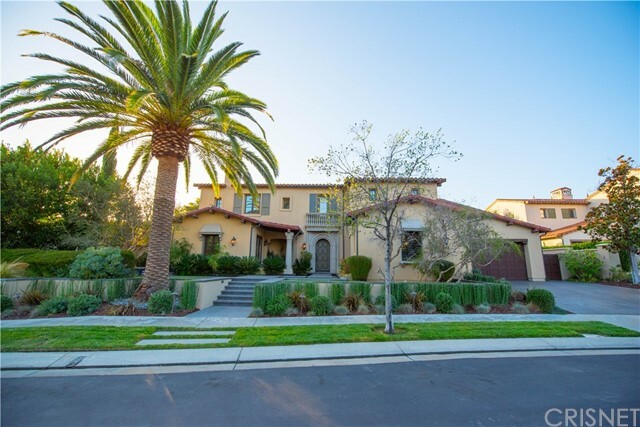 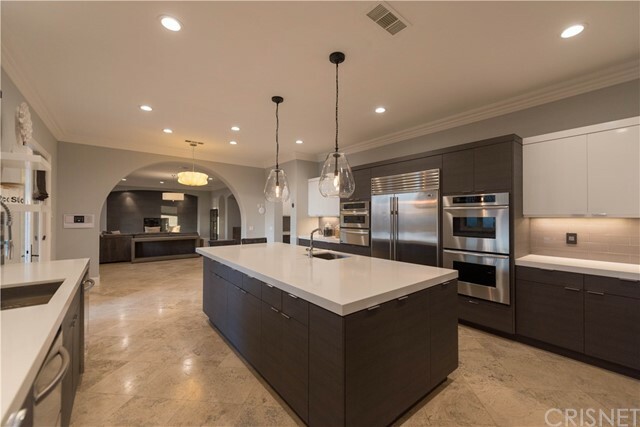 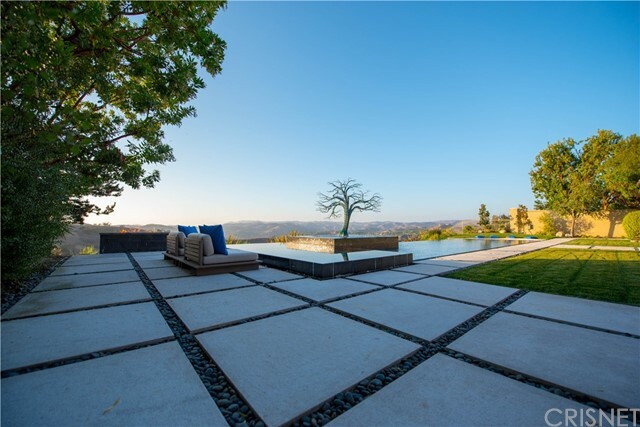 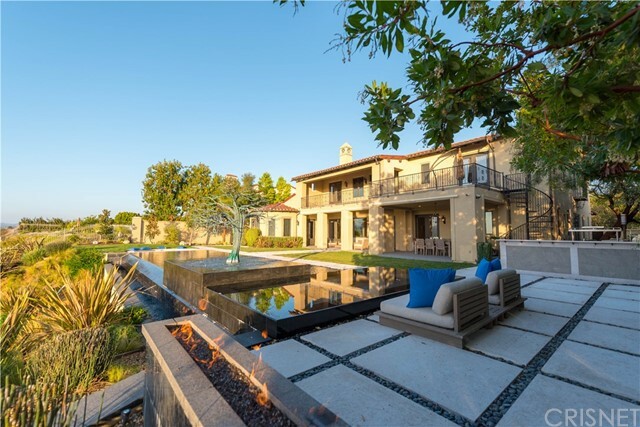 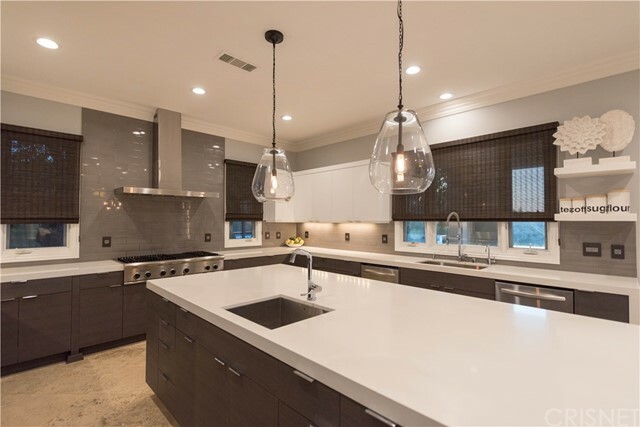 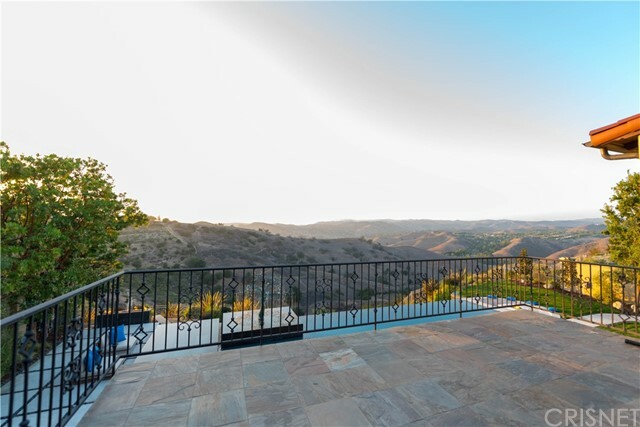 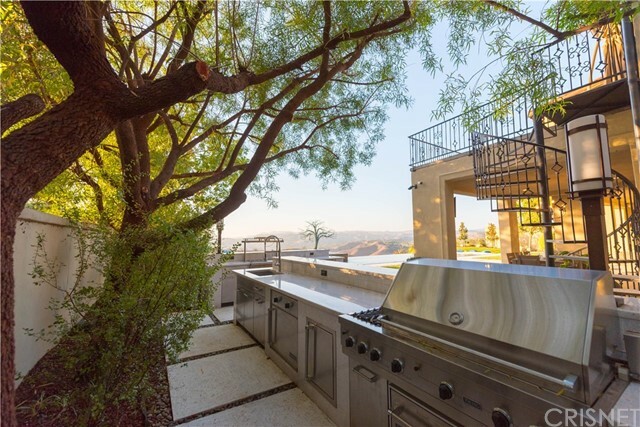 I would like more information regarding the property at 4205 PRADO DE LA PUMA, Calabasas CA 91302 - (MLS #2863756).